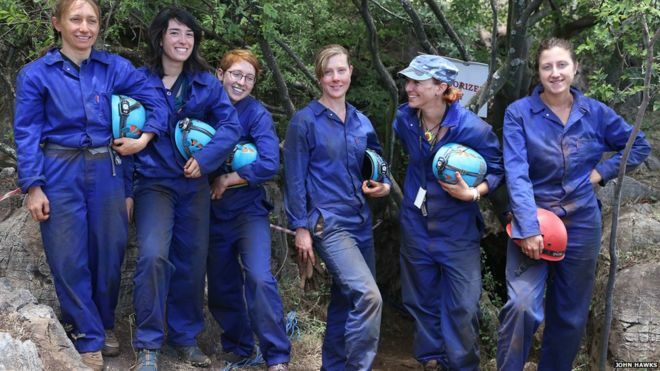 The discovery of 15 partial skeletons is the largest single discovery of its type in Africa.The researchers claim that the discovery will change ideas about our human ancestors. 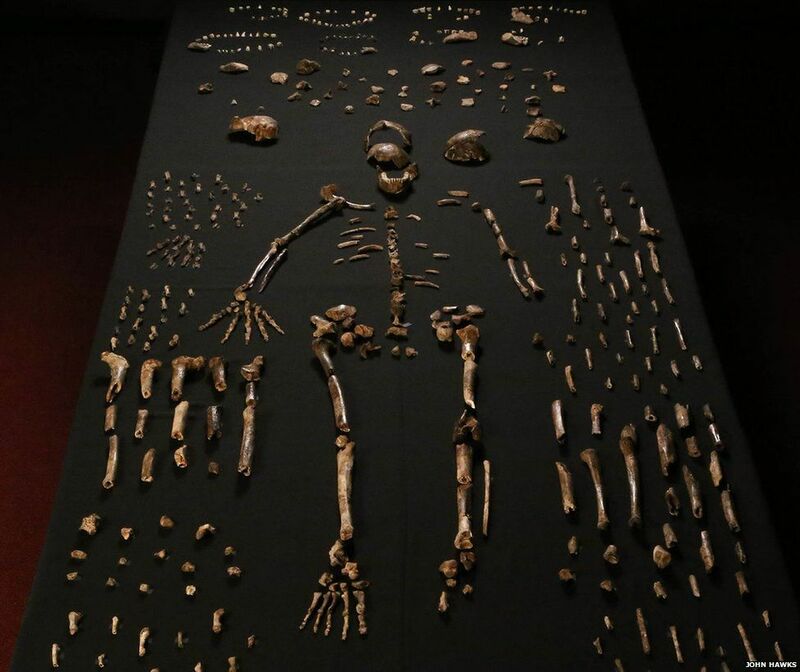 Australopithecus afarensis (3.9 – 2.9 million years ago) : The famous “Lucy” skeleton belongs to this species of human relative. So far, fossils of this species have only been found in East Africa. 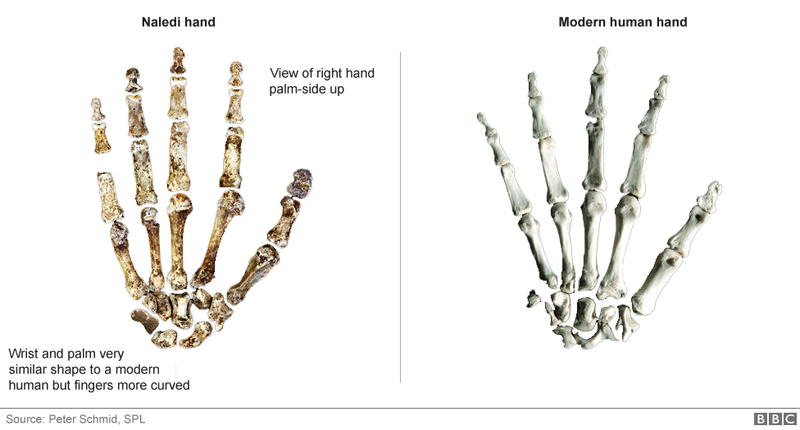 Several traits in the skeleton suggest afarensis walked upright, but they may have spent some time in the trees. 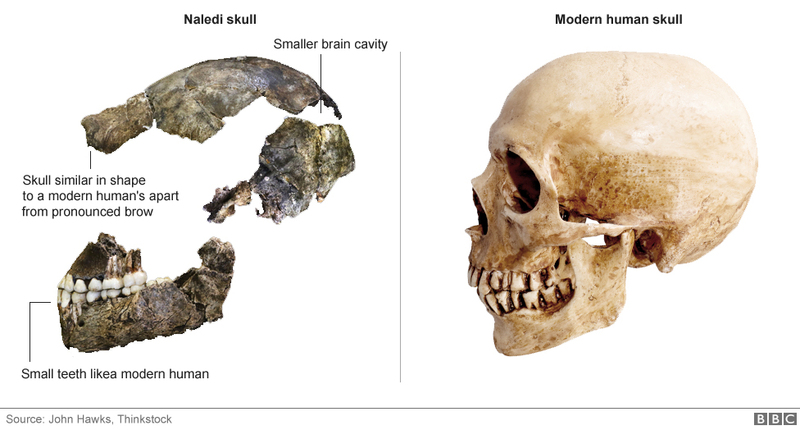 Homo habilis (2.8 – 1.5 million years ago) : This human relative had a slightly larger braincase and smaller teeth than the australopithecines or older species, but retains many more primitive features such as long arms. 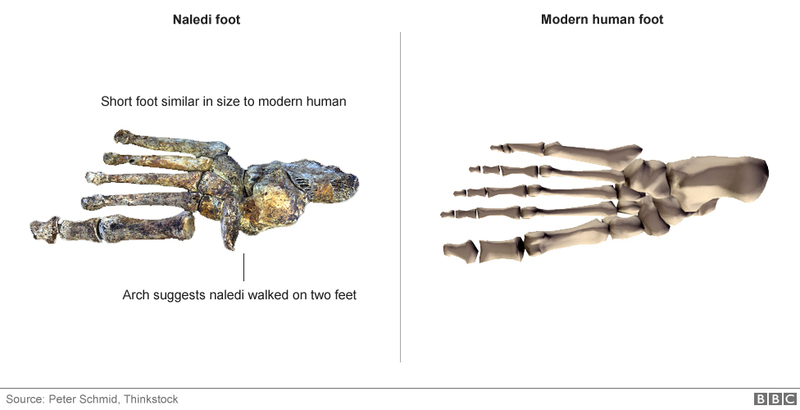 Homo naledi (Of unknown age, but researchers say it could be as old as three million years) : The new discovery has small, modern-looking teeth, human-like feet but more primitive fingers and a small braincase. 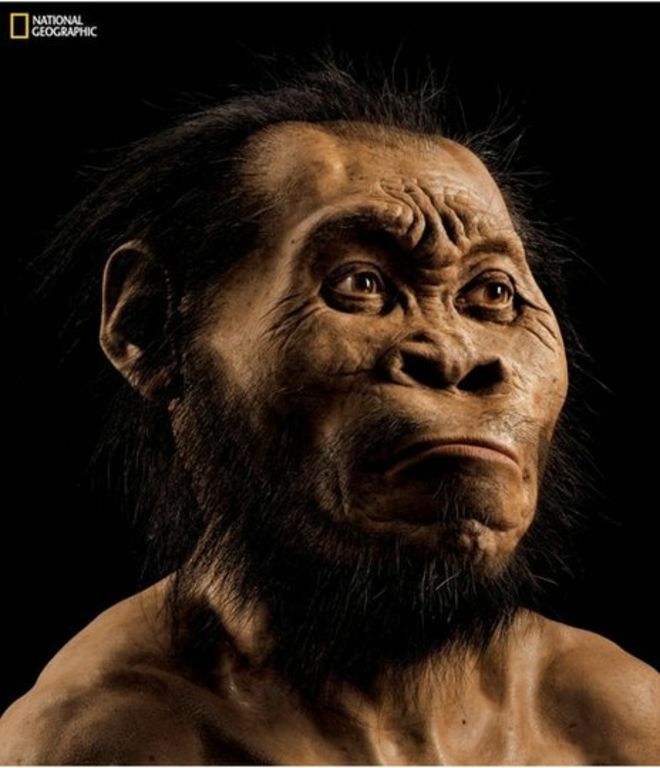 Homo erectus (1.9 million years – unknown) : Homo erectus had a modern body plan that was almost indistinguishable from ours. But it had a smaller brain than a modern person’s combined with a more primitive face. Homo neanderthalensis (200,000 years – 40,000 years) The Neanderthals were a side-group to modern humans, inhabiting western Eurasia before our species left Africa. They were shorter and more muscular than modern people but had slightly larger brains. Homo sapiens (200,000 years – present) Modern humans evolved in Africa from a predecessor species known as Homo heidelbergensis. A small group of Homo sapiens left Africa 60,000 years ago and settled the rest of the world, replacing the other human species they encountered (with a small amount of interbreeding).